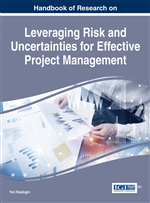 This game-changing chapter describes the unique and often catastrophic challenges involved in managing complex projects. The nature and dimensions of project complexity are discussed, including: team size, project duration, schedule, cost and scope flexibility, understanding of the problem and solution, stability of requirements, strategic importance, level of organizational change, inter-project dependencies and political sensitivity. Participants will be introduced to the new Project Complexity Model, a tool that is used to diagnose the complexity profile of a project. We explain the specific criteria or dimensions of complexity and propose complexity management strategies to manage each complexity dimension. What is it in the 21st Century that makes projects so difficult? These are tumultuous times. Businesses are faced with unprecedented challenges in the hyper-connected 21st century global economy. Extraordinary gale-force winds of change are swirling faster than ever, causing us to rethink our approach to business, project, and performance management models. Everyone is feeling the effects of the global integrated economy. Many jobs are becoming commoditized; They can be performed by internal resources, contractors, or even outsourced resources located anywhere across the globe. Global wage scales have made U.S. employees too expensive to perform standard, repetitive tasks. Many U.S. jobs are gone and not coming back. For these reasons, basic tasks are beginning to be outsourced or performed by contractors. IT applications have also impacted global jobs by automating repetitive activities, often increasing the quality and predictability of outcomes. Smart IT applications are replacing knowledge workers across industries. The demand for new, innovative apps delivered quickly is making traditional requirements and development methods obsolete. Social/mobile media has connected us all in obvious and subtle ways, some of which we don’t yet fully understand; and new applications emerge that we can’t even imagine until they reach us. As we see across the Middle East, Europe and elsewhere, people are using social media to bring about major changes to social and political systems. Project teams are using social media to enhance collaboration among key stakeholders across the globe. Businesses cannot afford to waste project investments or precious resource time unless there are significant business benefits in terms of innovation, value to the customer, and wealth to the bottom line. 21st century project leaders understand the business value proposition, and focus on value throughout the project. Business visionaries work with business analysts and project managers to develop release plans prioritized based on business benefits to deliver value early and often. With business success riding on innovation and first-to-market speed, we must be able to deliver new products and business capabilities that meet benchmarks for time, cost, and value. However, according to the CHAOS Manifesto 2015 by the Standish Group, technology-enabled business change initiatives are only 29 percent successful, as measured by on time, on budget, and with satisfactory results (Hastie & Wojewoda, 2015). This comes at considerable cost according to Sessions (2009), the world's leading expert in IT Complexity Analytics: real sunk costs and the price of lost opportunity is estimated to cost the U.S. economy more than $1 trillion per year.